Several years ago, I was in Paris and perusing the books at Shakespeare and Company. As I lost myself in the colorful aisles, I came across a modest paperback: Moonlight in Odessa by Janet Skeslian Charles. I was intrigued by this city I knew so little about, and after reading the back of the book, I decided to buy it. 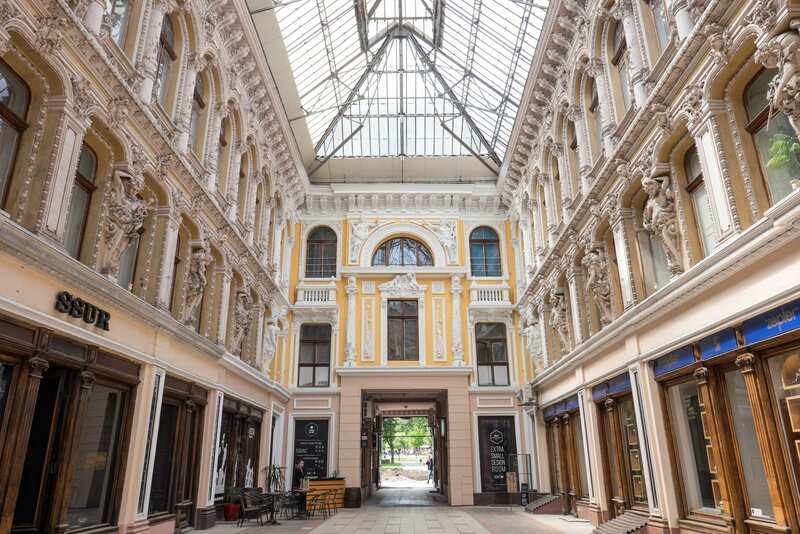 And while I liked the idea of the plot, about a twenty-something woman who tries to carve out a life for herself in Odessa and starts working part time at a mail-order bride company, it was the description of the city that won me over. 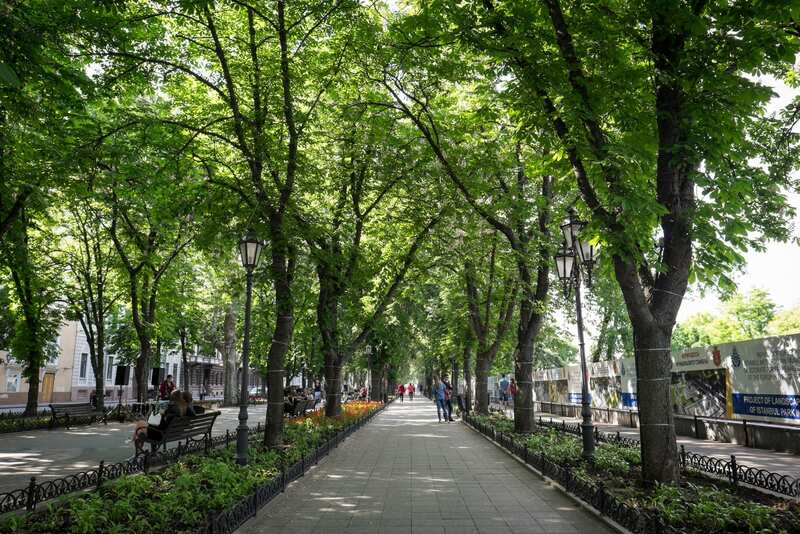 Odessa: a place where the streets were lined with candy-colored buildings, where people had conversations about classical music and art and literature, where cooking for friends and family was the greatest way to express your love, where women wore sky-high heels with miniskirts and clattered down the street. From that point on, I knew I had to visit. Just as Bloodline brought me to the Florida Keys, it was Moonlight in Odessa that brought me to Odessa. 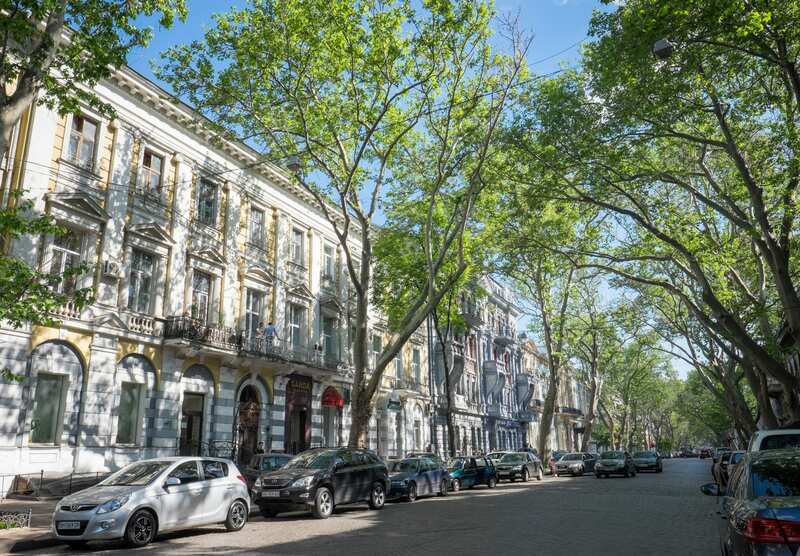 Did Odessa live up to my expectations? It went far and beyond. 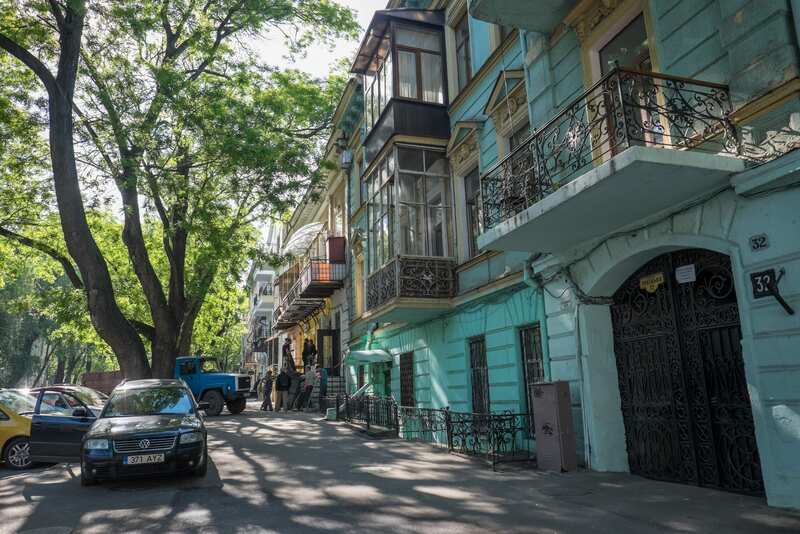 I fell madly in love with Odessa from the moment I arrived, and it’s one of my favorite destinations in years. 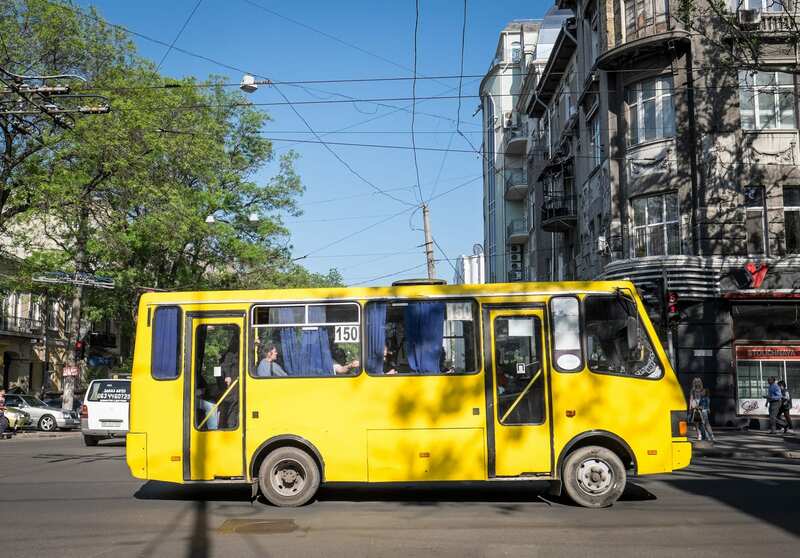 I arrived in Odessa on a bus from Chisinau, Moldova. After a quick stop at an ATM, I jumped in a taxi, agreed on a price that was likely far too much, and whirled down the pastel streets. I was dumbfounded. 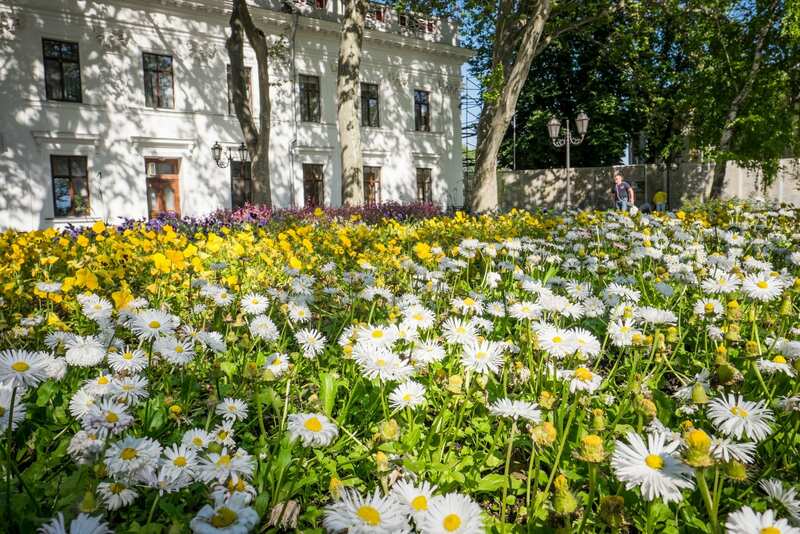 I knew it would be beautiful, but how could Odessa be this beautiful? 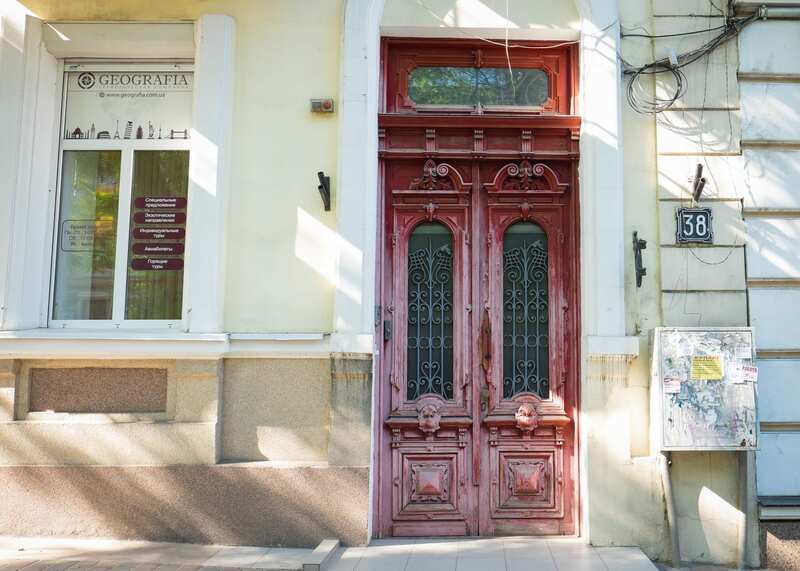 I went out for a stroll with my camera and soon learned that Odessa is cheap. Ukraine is cheap overall. I knew it wouldn’t be too expensive, but I was shocked at just how low the prices were. Until this trip, I thought Albania and Macedonia had the cheapest prices in Europe; I soon realized Ukraine had them beat. When Russia annexed Ukraine’s Crimea a few years ago (or as Russian loyalists would say, they took back what was rightfully theirs), Ukraine’s currency took a significant hit. What was already cheap became even more so. Some examples of prices? I would regularly have a multi-course meal with wine for about $8. A latte in a fancy cafe would cost around 95 cents. The most expensive tickets at the opera? Around $10. My boutique hotel room that would run for at least $250 if it were in New York? $42. But on that note, there’s nothing to be worried about in terms of Russia and safety. 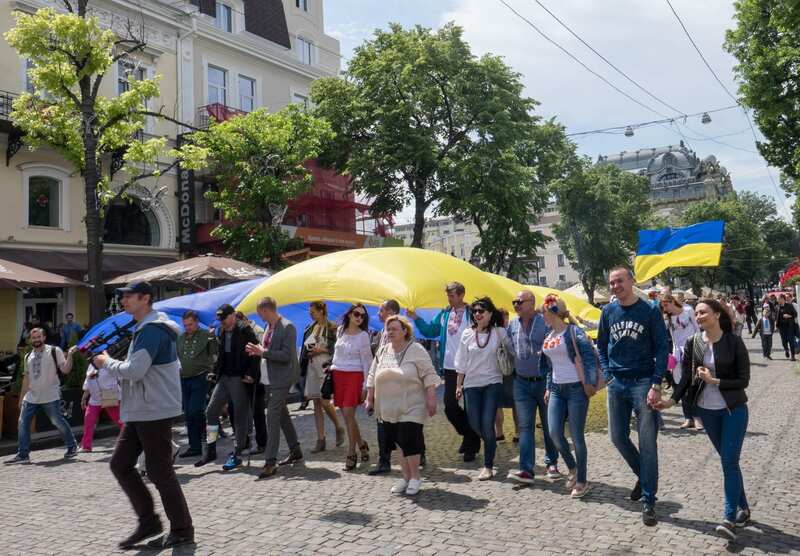 There is no violence or military presence in Odessa. You wouldn’t know anything was happening. You can’t travel to Crimea overland from Ukraine, and while Ukrainians now need a special permit in order to enter, non-Ukrainians can visit at their will. Flights from Moscow to Crimea are now considered domestic. 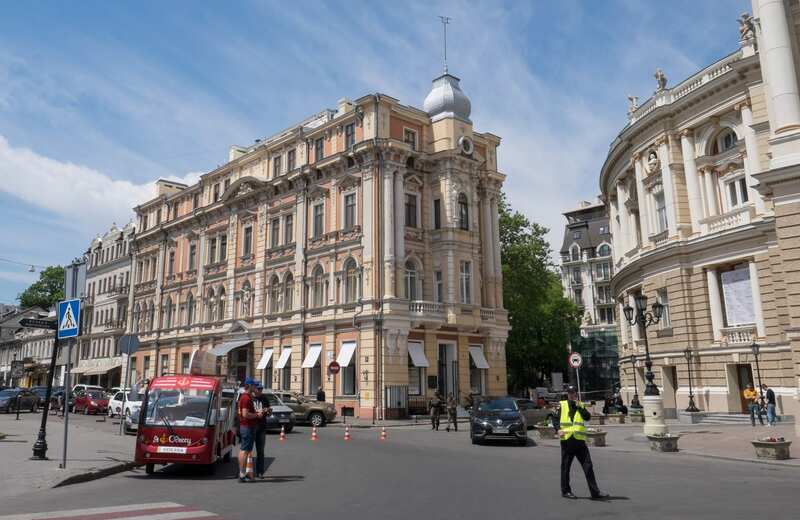 Today Odessa is just as safe as any other European city. When I heard there was a bakery called Make My Cake, I had to stop by — there’s a Make My Cake in Harlem (and they make some of the absolute best cupcakes in the city, so if you’re in New York, you should come visit). Rather than cupcakes, though, this place was all about macarons. It sounds crazy, but trust me — they were amazing. Who knew that black truffles tasted so delicious with a bit of sugar? 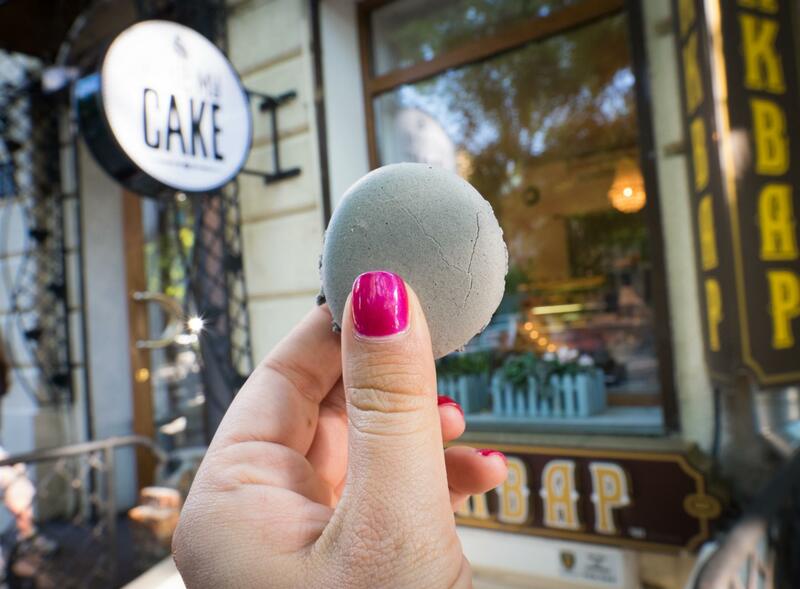 And each macaron cost less than a dollar, because why would you ever pay more than that in Ukraine? 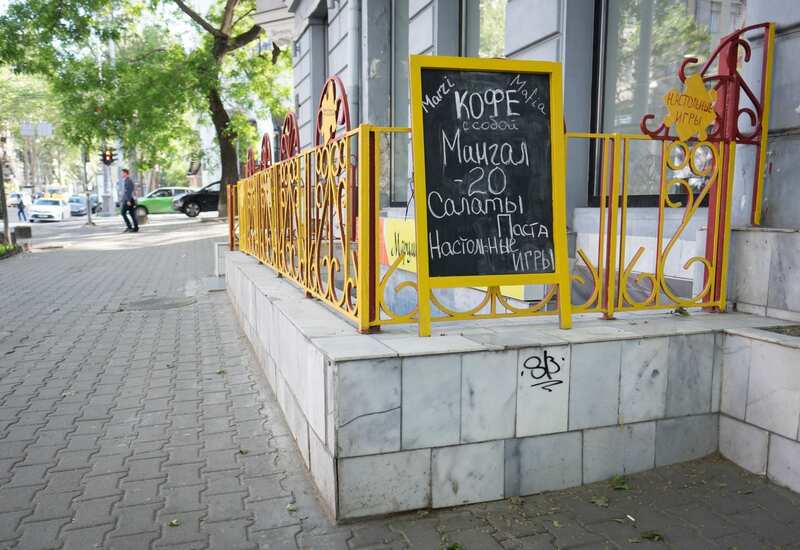 On the more traditional end, I tried my first Ukrainian food at a restaurant called Kumanets. 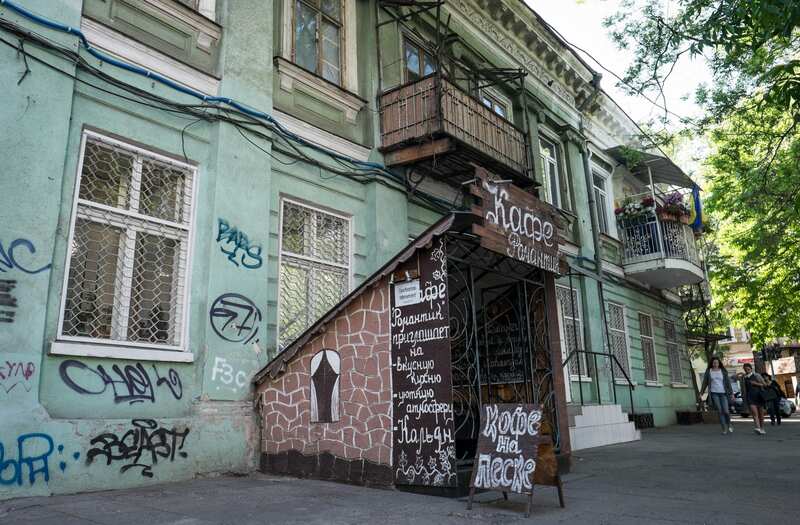 If you look for traditional food in Odessa, that’s the first restaurant that pops up, and you should go. 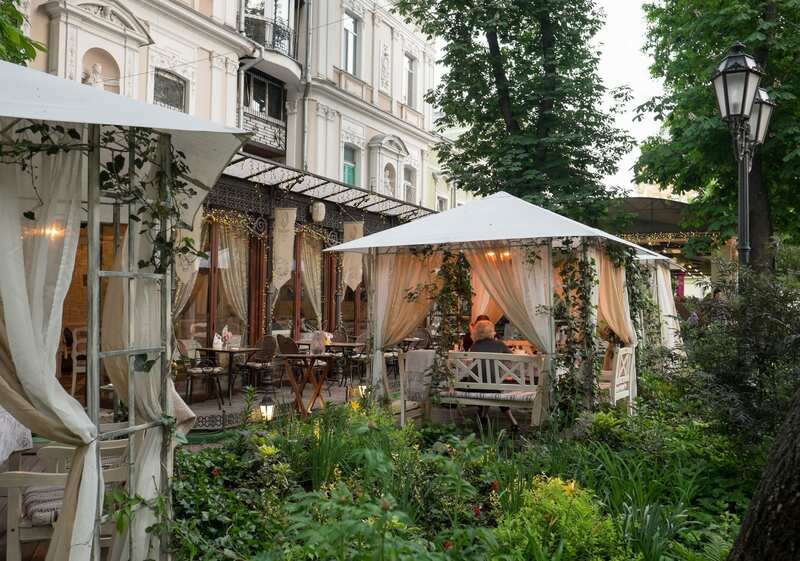 It’s touristy as hell, with servers in traditional Ukrainian costumes, but the food is delicious and they have a lot of traditional Odessa dishes. 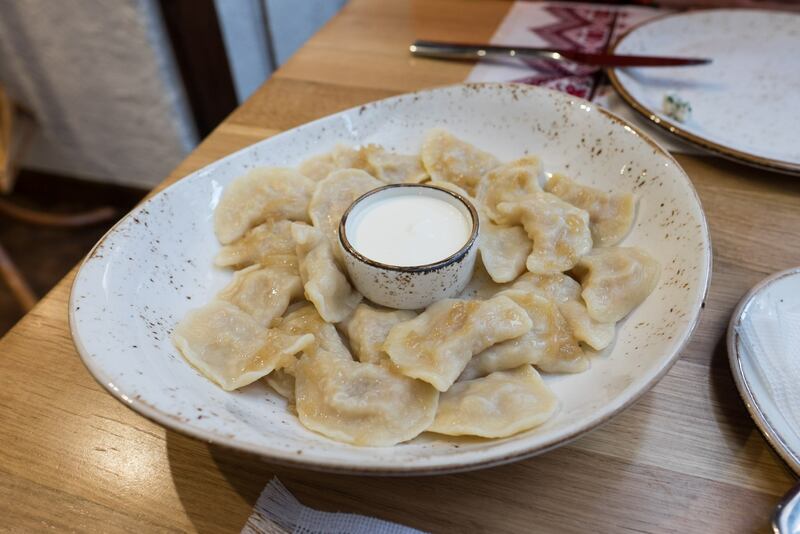 If you’re going to get the vareniki, or dumplings, get them with cabbage. Those are most traditional. 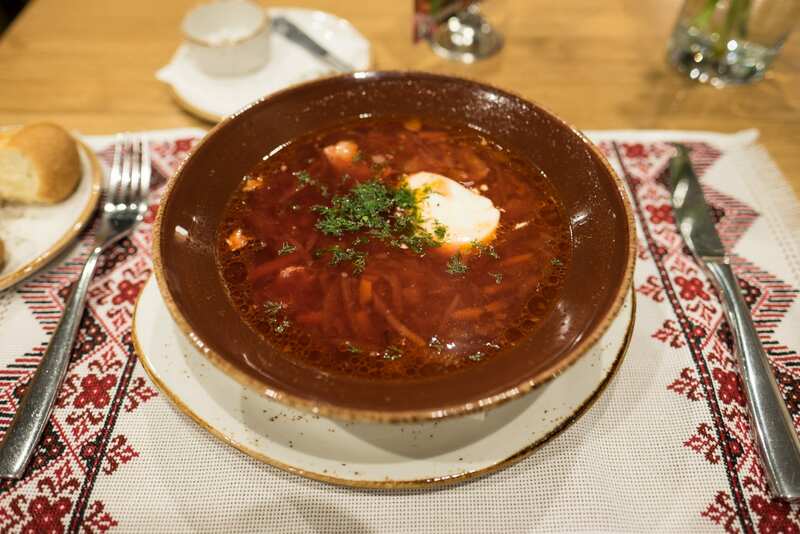 I also got my first taste of borscht — a new addiction that I would order nearly every day I was in Ukraine. The next day, I met my guide Olga from JayWay Travel for a walking tour of Odessa with some food stops along the way. 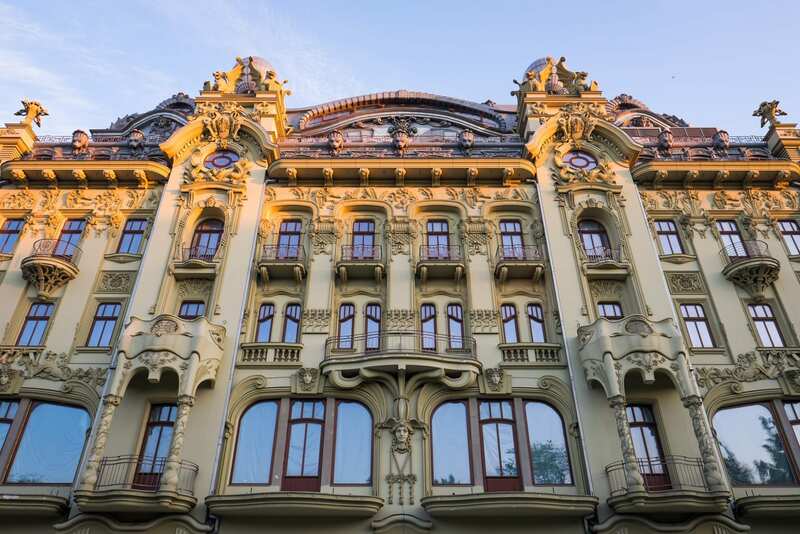 I don’t often do private tours — it’s usually a group tour, a solo wander, or nothing — but I learned so much about Odessa from Olga that I was nearly bereft at how much I would have missed without her. 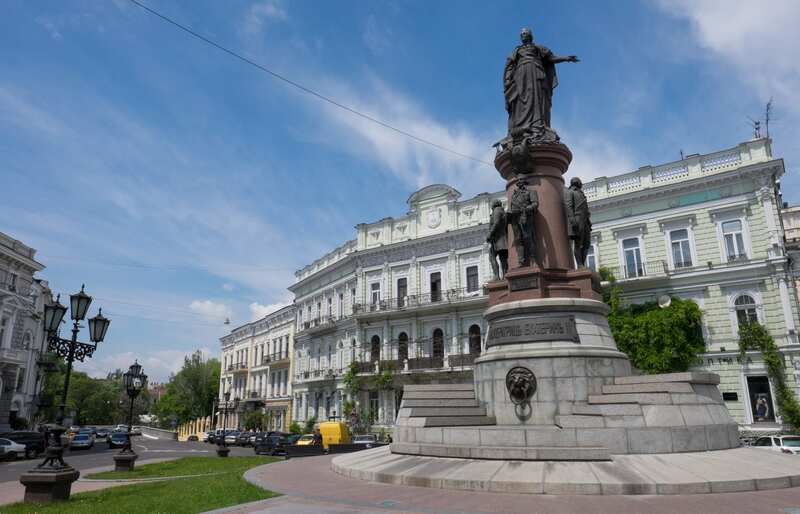 Beyond the Jews, Odessa is home to Greeks, Turks, Armenians, Poles, Bulgarians, and of course Russians. All of these ethnicities melding together have made for some wild history — and some very interesting and surprisingly Mediterranean-influenced cuisine. I had expected Odessa to be full of six foot tall blonde women, but it wasn’t like that at all. People were shorter, darker, and heavier than you might expect. How amazing is this heart? I’m not a fan of love locks in general because they weaken bridges, destroy the look of architecture, and at this point, they’re such a cliché. But Odessa has figured out the perfect solution. 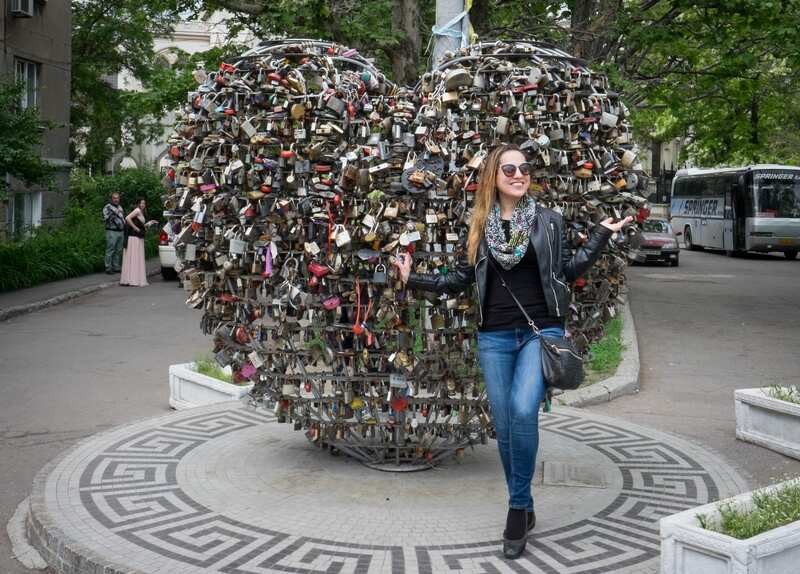 Instead of a bridge, they have a heart sculpture designated specifically for love locks. This way you can lock a symbol of your love to an icon in the city without destroying a bridge in the process! Every city needs to do this. 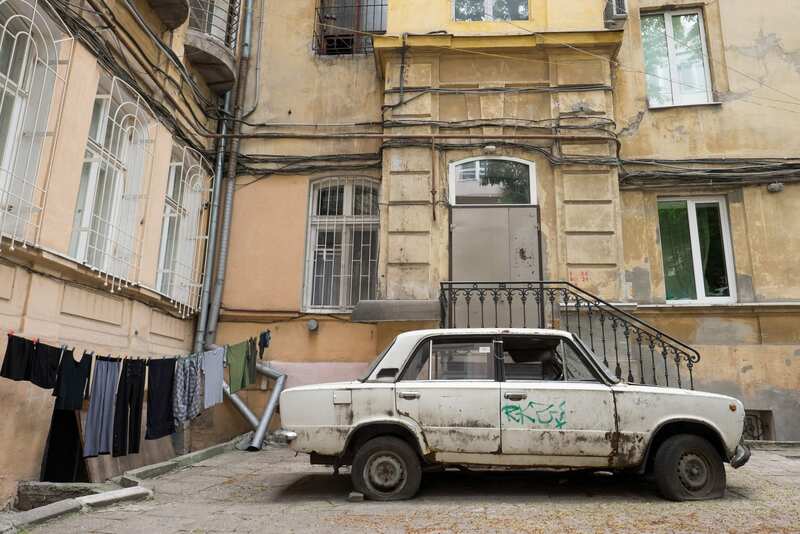 Odessa is famous for its courtyards, Olga told me. She took me into several of them and pointed out wells that dated back generations, the only places where you could get fresh water in the city. Today many of them had old cars. I loved this tiny house and its plants, just sitting in the middle of the courtyard! 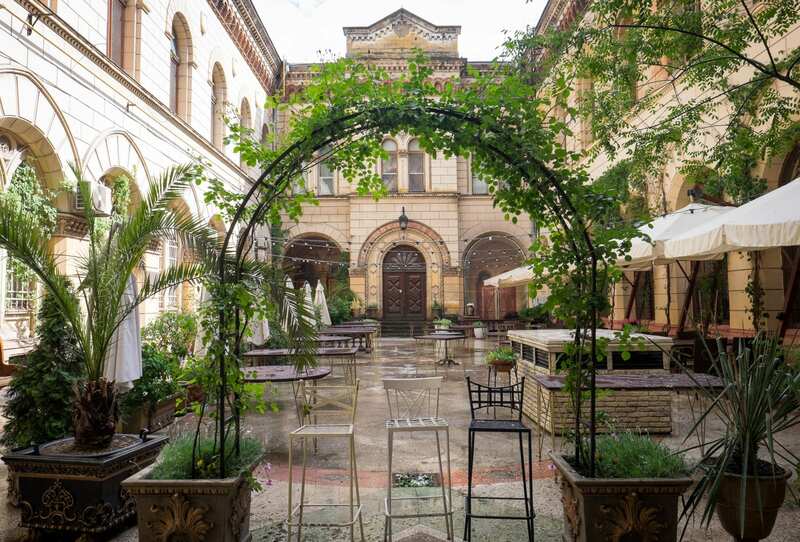 And some courtyards are home to elegant restaurants. 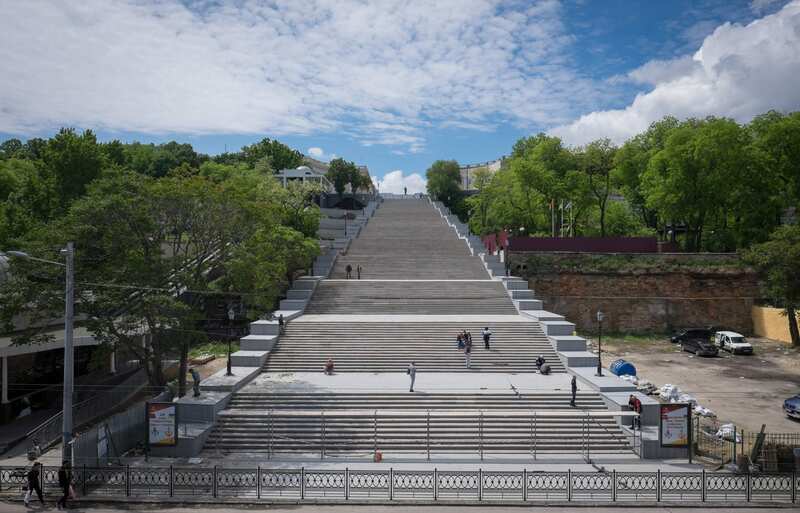 The Potemkin Steps are one of the symbols of Odessa. The steps are actually an optical illusion — they’re much wider at the bottom than they are at the top. This was meant to give the appearance of a much larger staircase and intimidate any wayward sailor who found himself in the city! The steps were actually under construction during my visit, but I was able to get this photo across the street from them. I was so in love with Odessa. My heart swelled with every step I took. 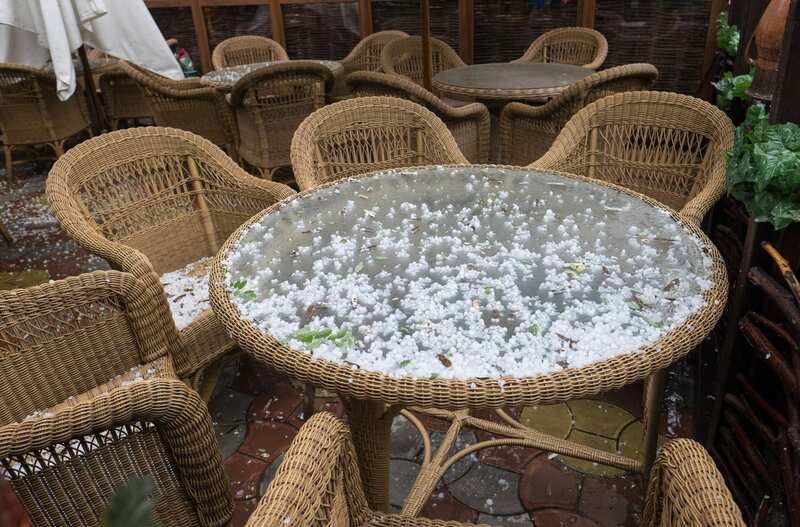 And then a rogue hailstorm hit! 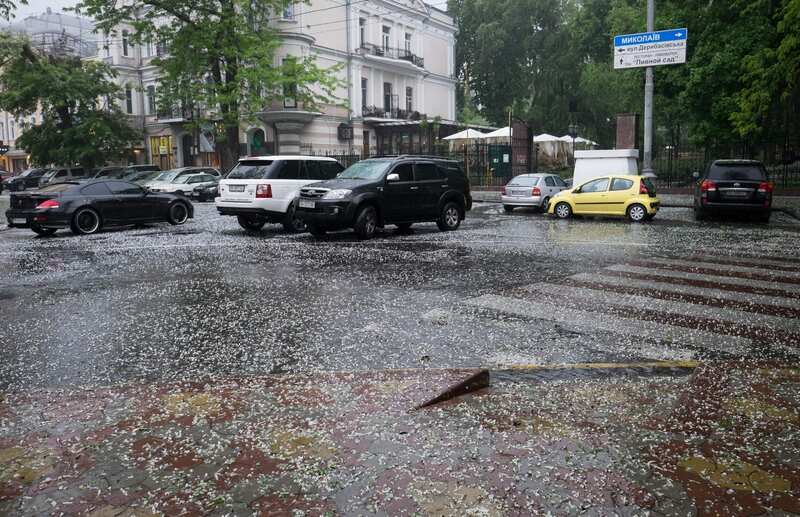 I’ve never seen hail that big or loud in my life! Roughly the size of canned hams, am I right? 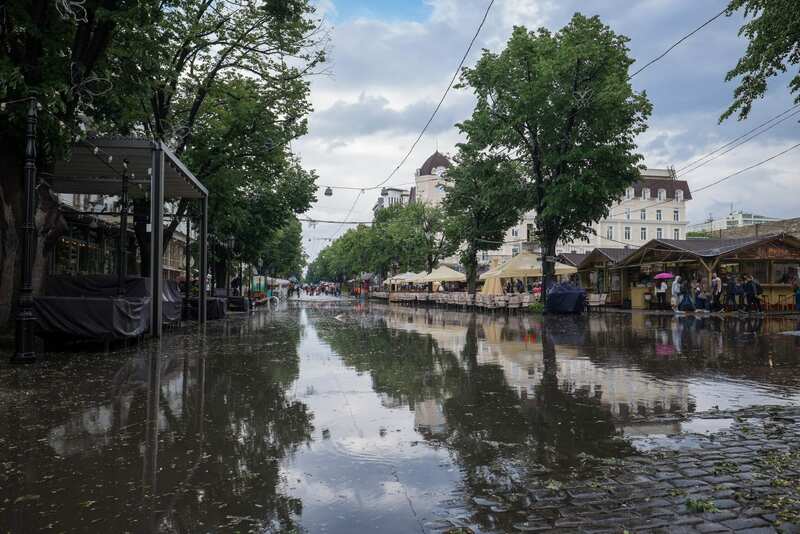 Afterward I couldn’t believe that the walking street completely flooded! It was fine a few hours later, though. Also worth seeing are the catacombs. But unlike Paris and Rome, the catacombs are not filled with bones. 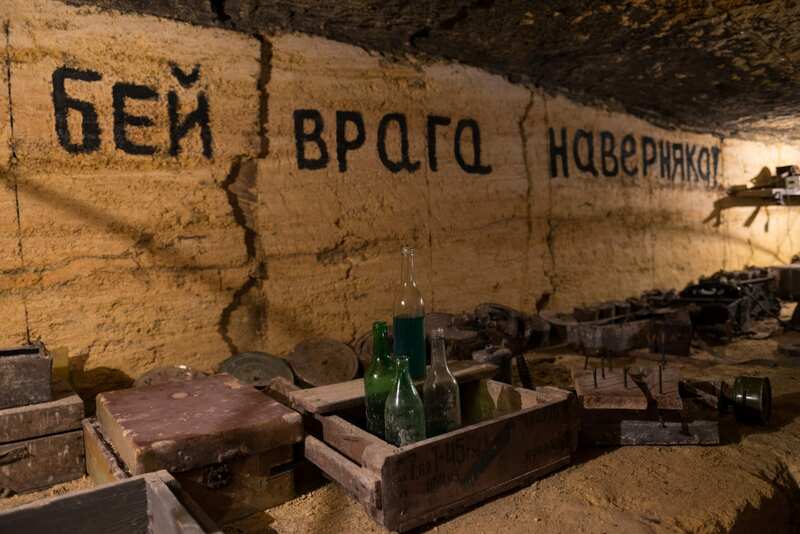 Here in Odessa, they were home to the resistance against the Nazis during World War II. The resistance lived down here, plotted and fought. People would stay underground for months at a time. 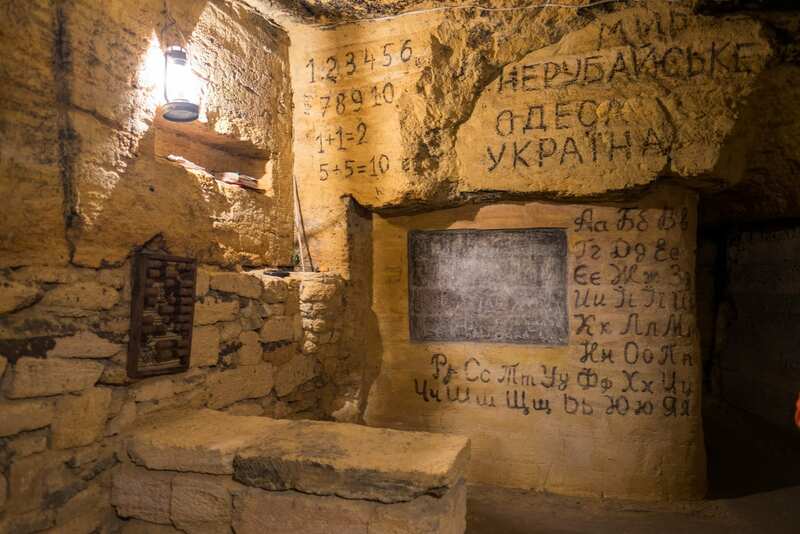 At one point, there were seven children living in the catacombs. This was their classroom. 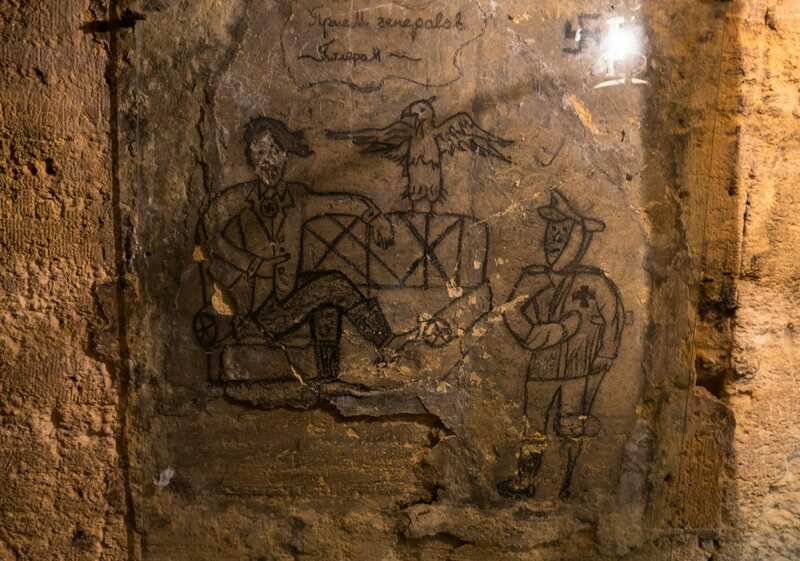 Yes, that’s literal cave art about Hitler. This image is of a Nazi coming back injured. Translation: you’re losing the war! The catacombs were also where Olga handled a mansplainer with aplomb. As we were waiting to go in, a tall hefty man in a navy blue pinstripe suit (with a royal purple pinstripe shirt…what?) said something to her in Ukrainian. She smiled weakly and ignored him. He then said a second thing to her, then a third. From the expression on her face I knew she was dealing with a mansplainer. “What did he say to you?” I asked once we were inside. “Oh, he said, ‘You can’t go in there, it’s locked.’ Then he said, ‘It’s too early for you to buy your tickets, they don’t have money.’ Then he said, ‘You’re not allowed to go in there.’ And I said, ‘I’m here five days a week,’ and walked in.” Of course. He didn’t believe she could possibly be a guide; he assumed he knew more than she did. No matter how far you travel, some things stay the same. Odessa brought me so much joy. I felt so light and happy the whole time I was there, almost laughing for no reason. 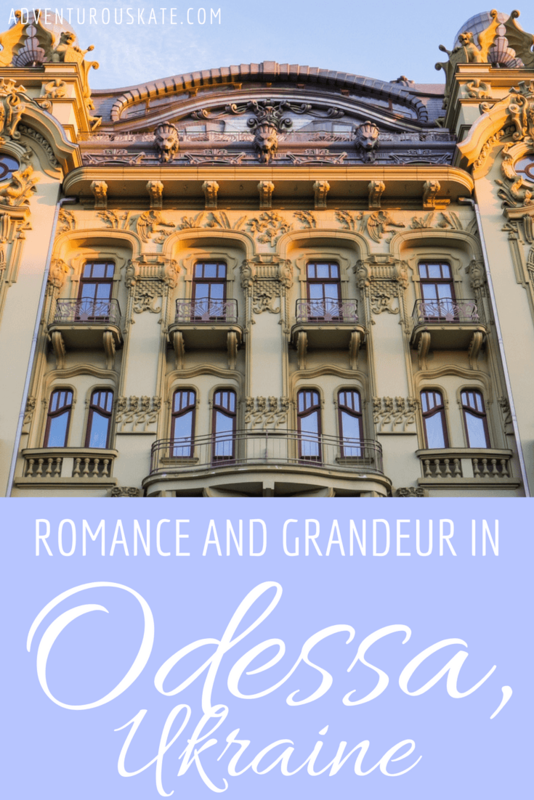 And as a result, I’m worried that this blog post didn’t convey enough information about Odessa itself. Does it make you actually want to visit? Or am I just a crazy lady distracted by pretty things that made her happy? 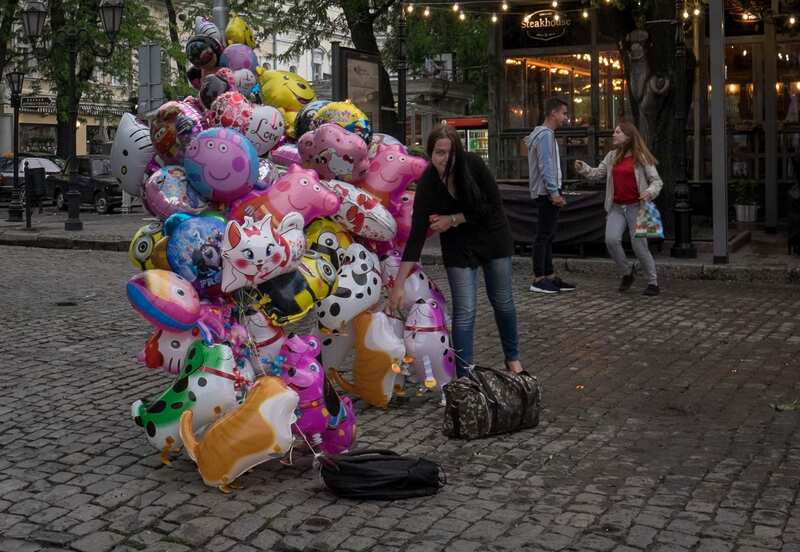 This shy balloon seller made me happy. 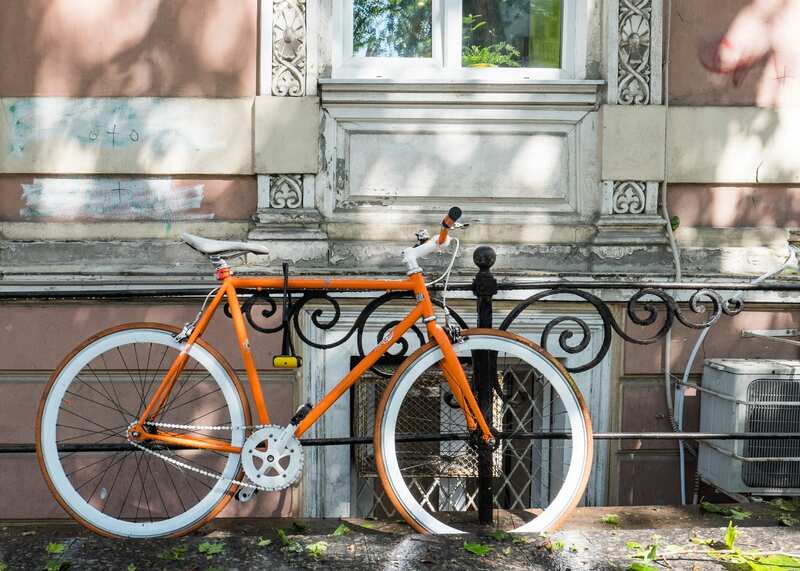 This orange bicycle made me happy. 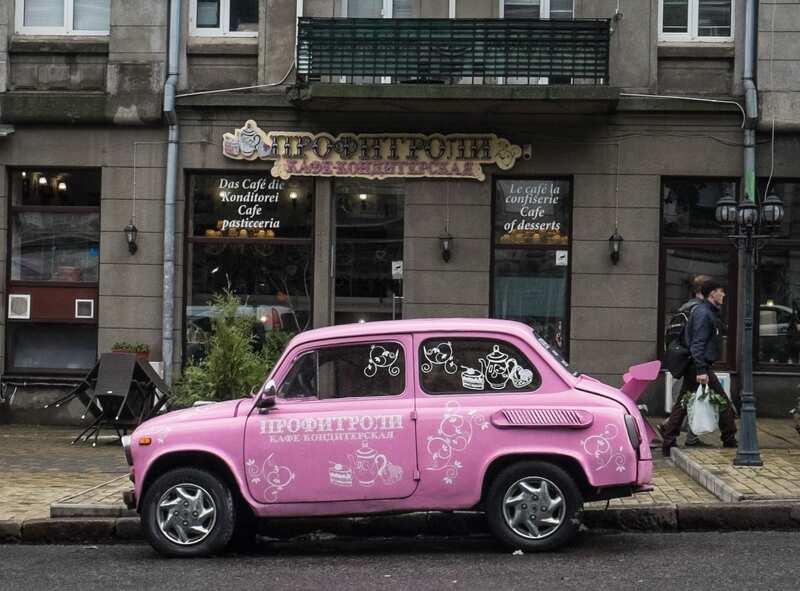 This little pink car made me happy. 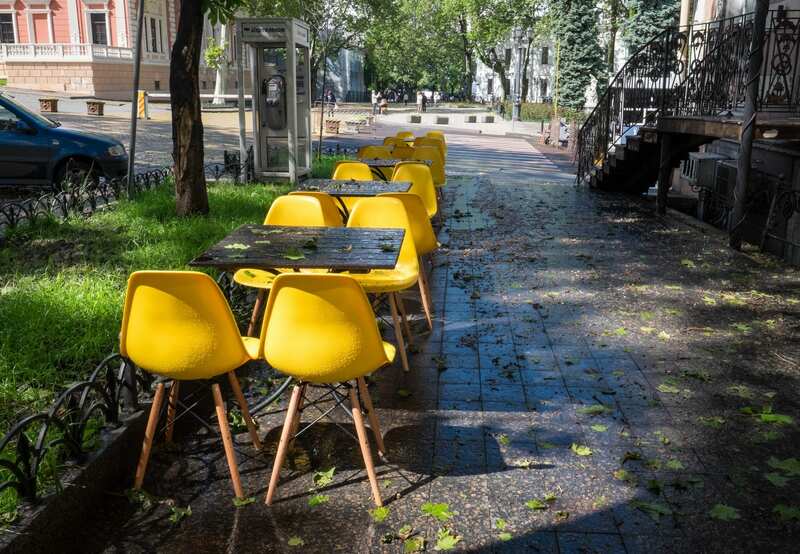 These little yellow chairs made me so happy. Odessa, you were pure joy to me. Thank you for bringing such a big smile to my face. 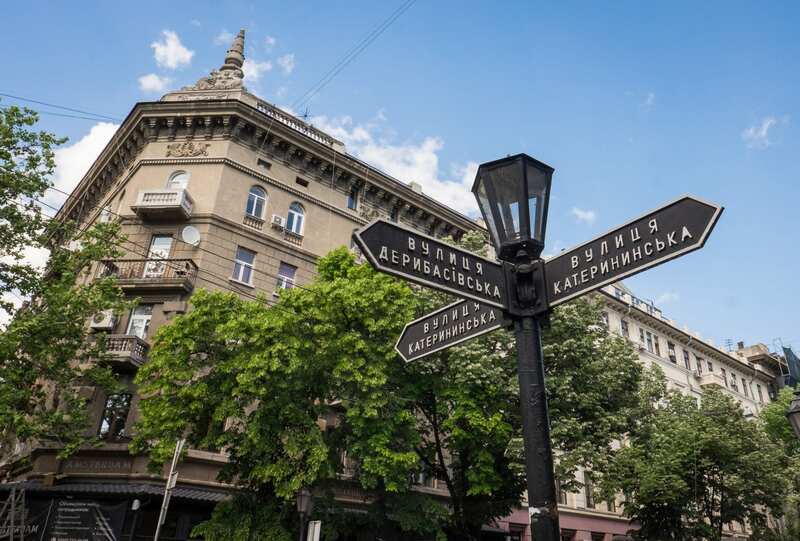 Essential Info: In Ukraine I was a guest of JayWay Travel, a boutique Central and Eastern European travel company, for a custom itinerary they built for me with hotels, transfers, and tours. They do custom trips so whatever you’re looking for, reach out to them. It was so nice to not have to worry about transfers, and I was grateful that Olga went into the airport with me and found out where I was to depart (one terminal is currently under construction) — with the language barrier, I never would have been able to do that on my own. Contact them directly for tours or other bookings. 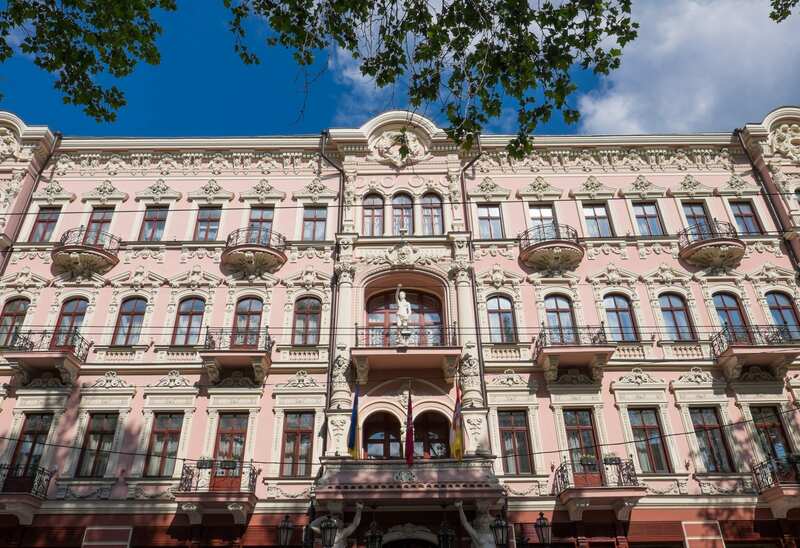 I stayed at the Hotel Milano, a brand new boutique hotel ideally located close to the walking street. 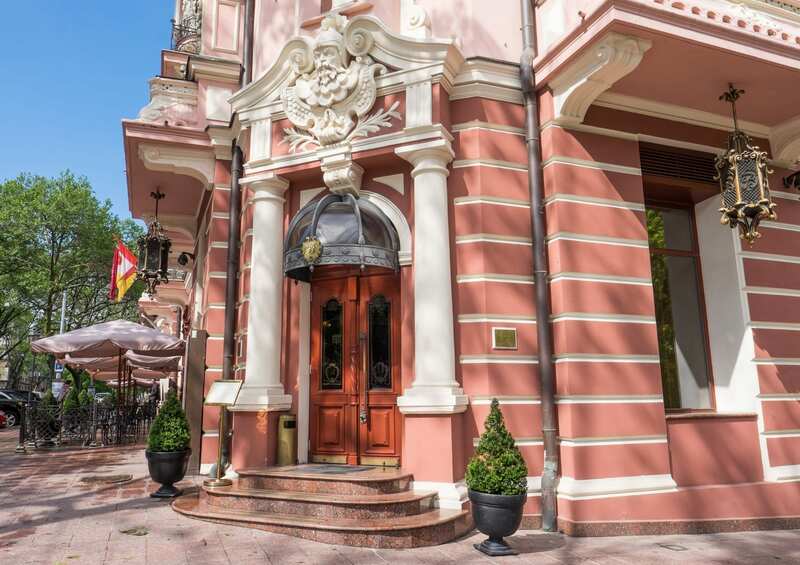 I highly recommend it — it was extremely comfortable and modern, the staff were very helpful and spoke English well (a bit rare in Ukraine) and for $42 per night, it was a steal. (Olga pointed out that it’s a much louder neighborhood during the summer.) 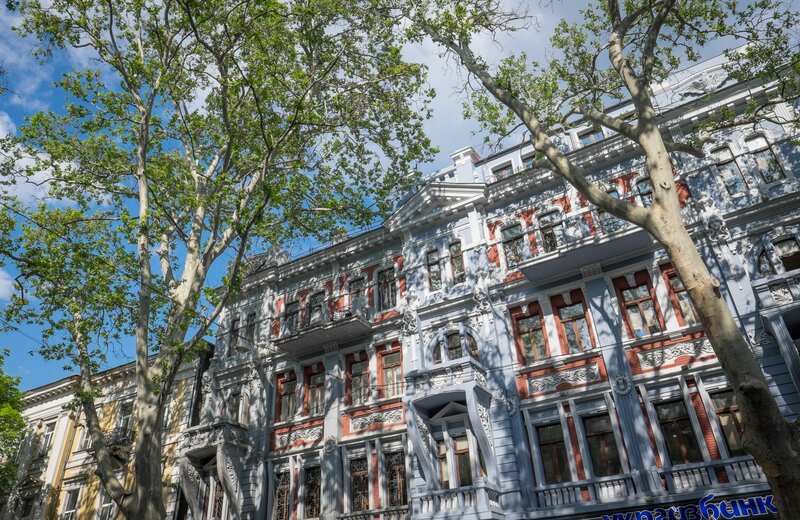 You can see more hotels in Odessa here. 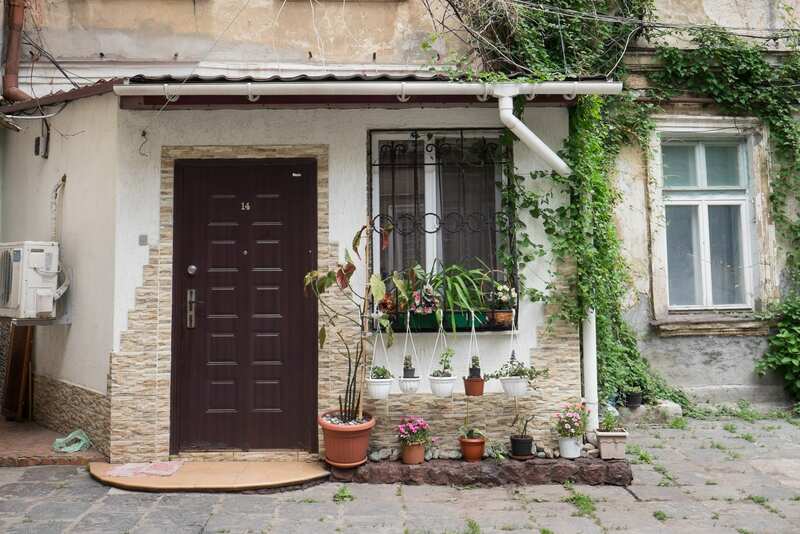 There is a significant language barrier in Ukraine, but it wasn’t nearly as bad as I feared. 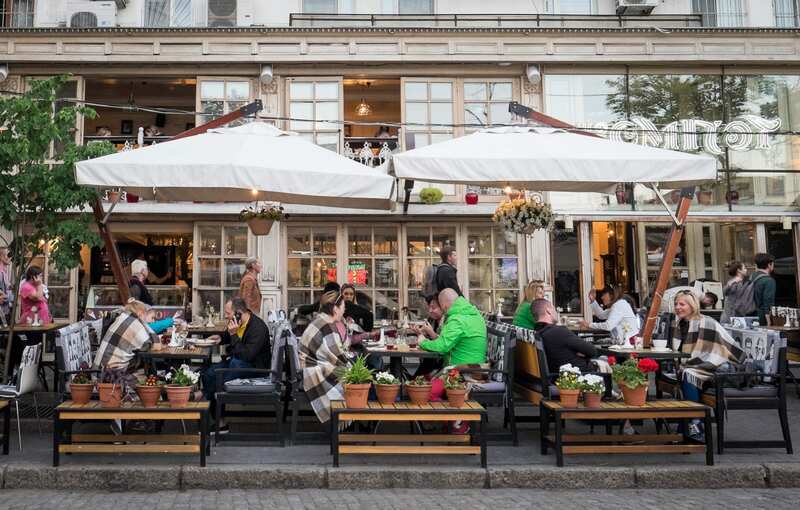 In central Odessa lots of people in restaurants and hotels speak a bit of English. I do recommend learning Cyrillic, which is pretty easy to do. It will make your life so much easier when you can read what’s in front of you, as many words are similar to English. 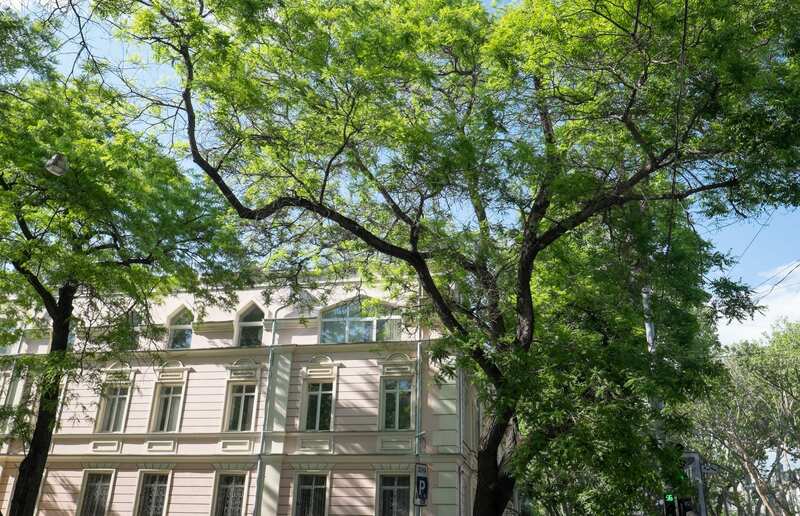 I visited Odessa in May, which was the perfect time. 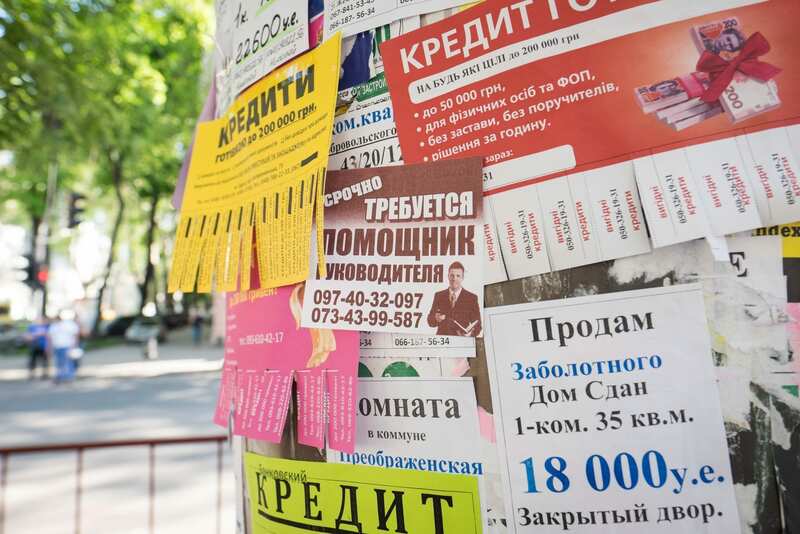 Odessa is a beach city and gets crazy in the summer months — which means it gets crowded, there are lots of late night parties with loud music, and older foreign men swarm the city searching for wives. Moonlight in Odessa is out of print, but you can still get it for Kindle or secondhand. 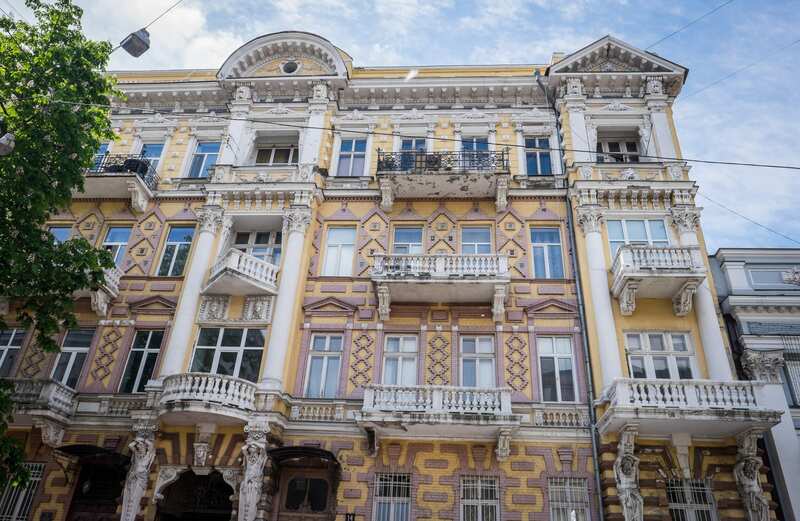 Don’t visit Odessa without travel insurance. Whether you get appendicitis and need to be hospitalized, or your phone gets stolen, or an injury means you need to cancel all or part of your trip, travel insurance will help you out. 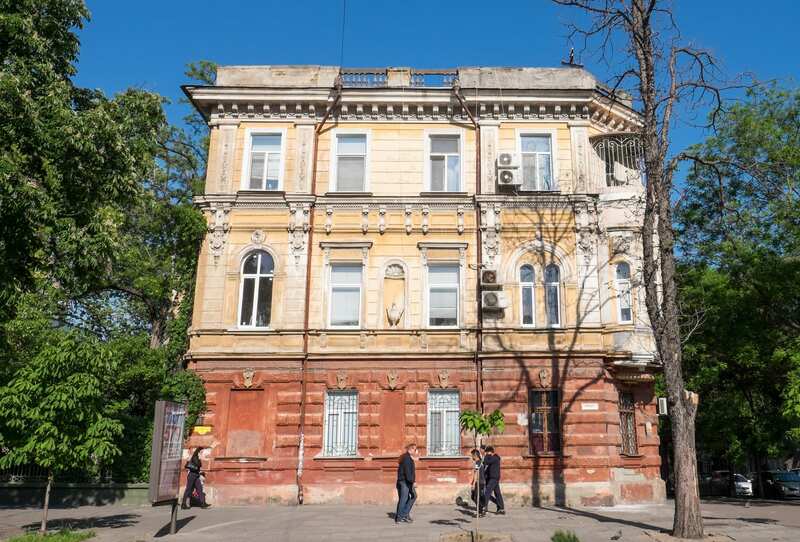 I use and recommend World Nomads as travel insurance for trips to Ukraine. Have you been to Odessa? Does it look like your kind of city?